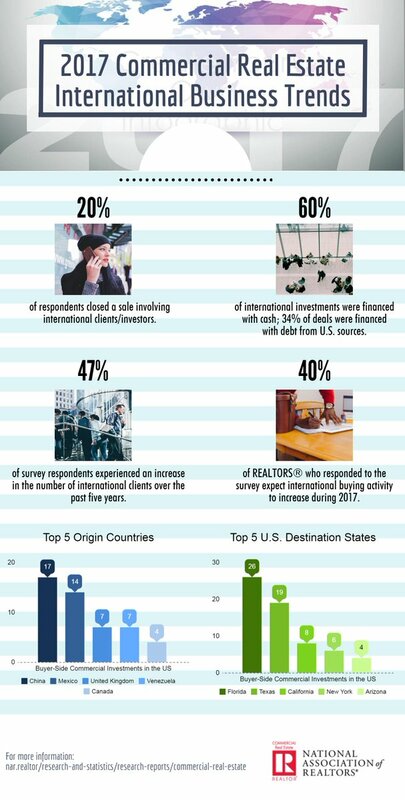 ​​​​​​​WASHINGTON, D.C. – Florida and Texas were the top two states where foreigners purchased and sold commercial property last year, according to survey results released today by the National Association of Realtors. California was the third most popular buyer destination. Texas accounted for 19 percent of buyer-side and 17 percent of seller-side transactions nationally. Florida had 26 percent and 38 percent, respectively.